THE BRITISH RAILWAY STORIES LTD: "Facebook Group Xmas Competition"
Just to say, for anyone on The British Railway Series Facebook Group, I'm running a special competition where the prize is a signed print of an artwork Dean Walker is preparing for the series. 1. Create a piece of artwork that incorporates a railway theme, and a wintry theme. 2. It can be in whatever medium you wish, showing whatever you like, that is related to railways and winter. 3. Upload it to this group for everyone to see, putting in the title "XMAS ENTRY - Your name". 4. The winner will be chosen by me. 5. The only criteria for winning there is is simply originality, and creativity. 6. 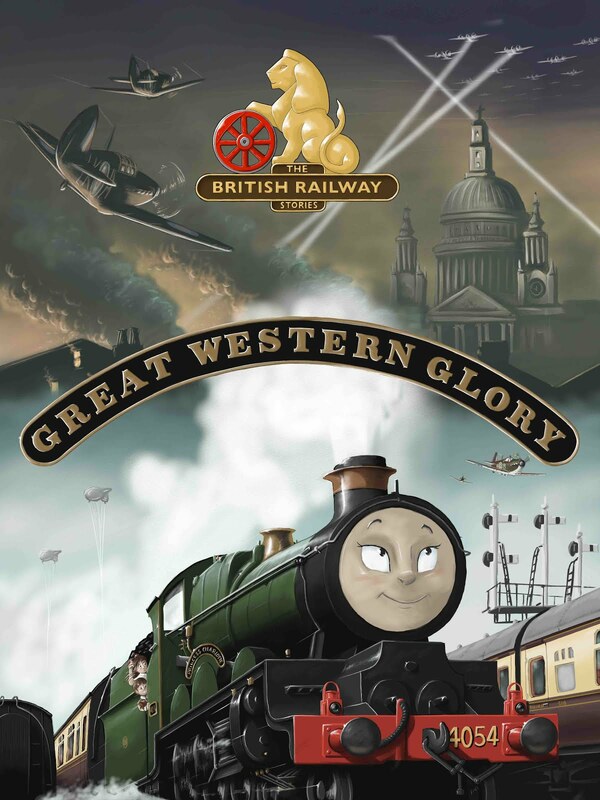 The prize this year will be a special "The British Railway Series" themed print featuring more of Dean's beautiful artwork and signed by both Dean and I. "Happy Thanksgiving & 'Tis the Season!" "Rant of the Week: New Build Steam!" "Thompson D Class 4-4-0, The Morpeth"